Don't ignore the most important safety feature of your vehicle: your brakes! You want to be sure your brakes are always in good condition. When your brakes are not working as effectively as they did in the past, visit Rockville Auto & Truck Service in for expert brake repair in Rockville, MD. Our comprehensive brake service includes brake pad replacement as well as repairs of other components that make up the braking system. Screeching, squealing, or grinding sounds are common symptoms of worn brake pads and shoes. If you do not replace the brake pads in a timely manner, it can damage other parts of the vehicle, which would only lead to more repairs. Additional signs of brake problems include strong vibrations in the pedals and steering wheel, or the need to push the brake pedal down harder or further in order to stop. The most common and easy-to-notice indicator you need brake replacement or repair work is when the brake light comes on. Our auto shop has access to a full line of brake parts for all types of braking systems. 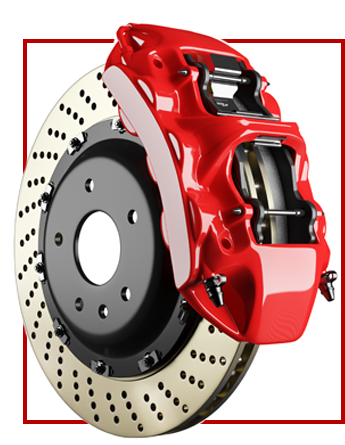 We can replace any braking components in your vehicle with new ones that function properly. We also offer great value if you require us to resurface or replace your brake rotors. Imagine you are driving down the road and see a traffic jam up ahead. You apply the brakes but your car does not slow down, and cars in front of you are coming closer. You can avoid this nightmare situation by simply having your brakes inspected on a regular basis. It is not only important for your own safety, but also for the safety of other drivers on the road. Trust your vehicle to our auto shop and you will never have to worry about the condition of your vehicle's brakes. As traffic volumes continue to increase over time, people must use their car brakes more frequently, especially those who live in populated areas. You expect your brakes to work flawlessly, because if they don't, the results could be disastrous. Regular maintenance is a great way to get the most out of your brake pads.